LOS ANGELES -- For anyone who has wanted to see the hottest show in the country before it leaves Los Angeles, but balked at the ticket price - now's the time. 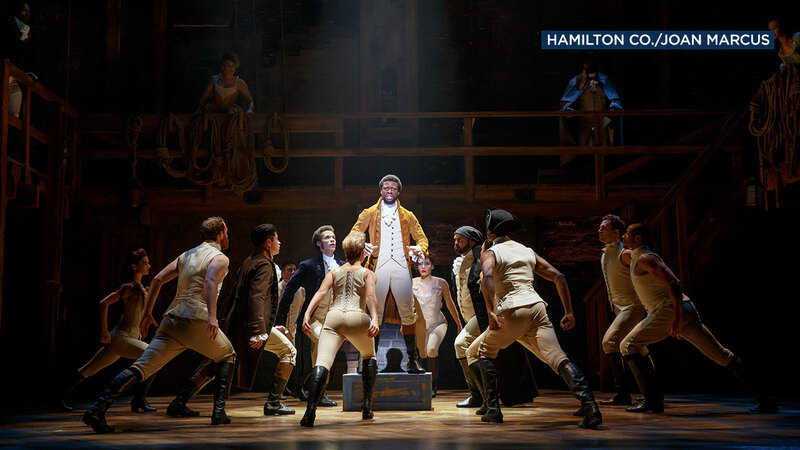 The popular musical "Hamilton" is offering tickets for $10 for every seat in the house in its Dec. 19 performance. The 2,550 tickets will be made available through an online lottery running now through Dec. 17 that can be entered through the official Hamilton app. Details and how to enter are available at the Pantages website and the Hamilton website. Tickets for the Tony-winning show, when available, can normally run well into the hundreds of dollars. "Accessibility remains one of our strongest goals and we will continue to explore ways to make Hamilton affordable for those who cannot bear the expense of traditional theatre prices," said show producer Jeffrey Seller. The touring production is ending its run at the Hollywood Pantages on Dec. 30 before moving on to San Diego.